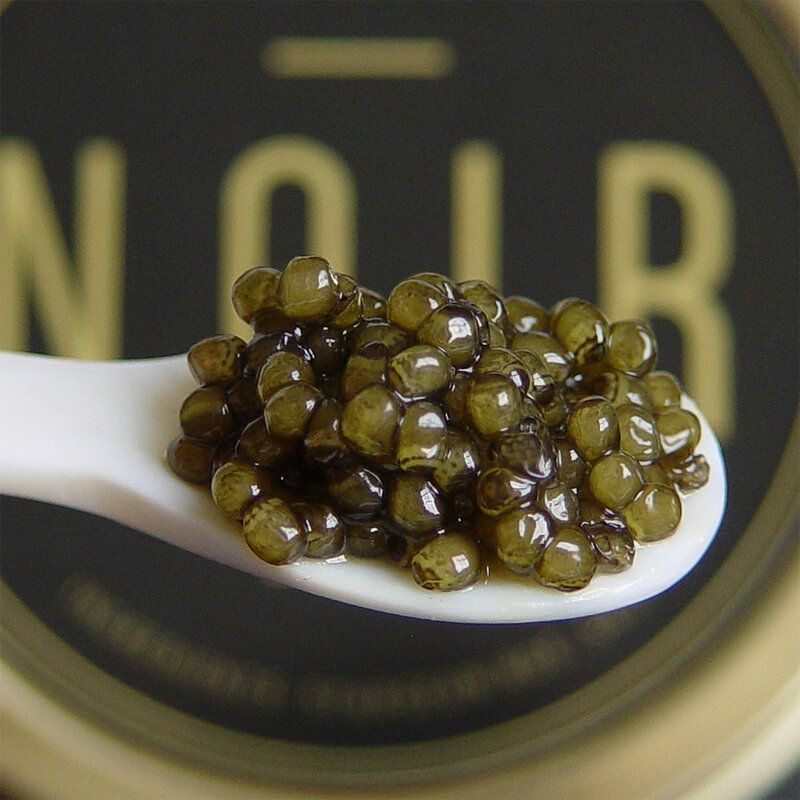 NOIR Caviar Co. is a confluence of like-minded gourmets. Their goal was to create a luxury caviar brand that met their own high standards of quality as well as aesthetic beauty. 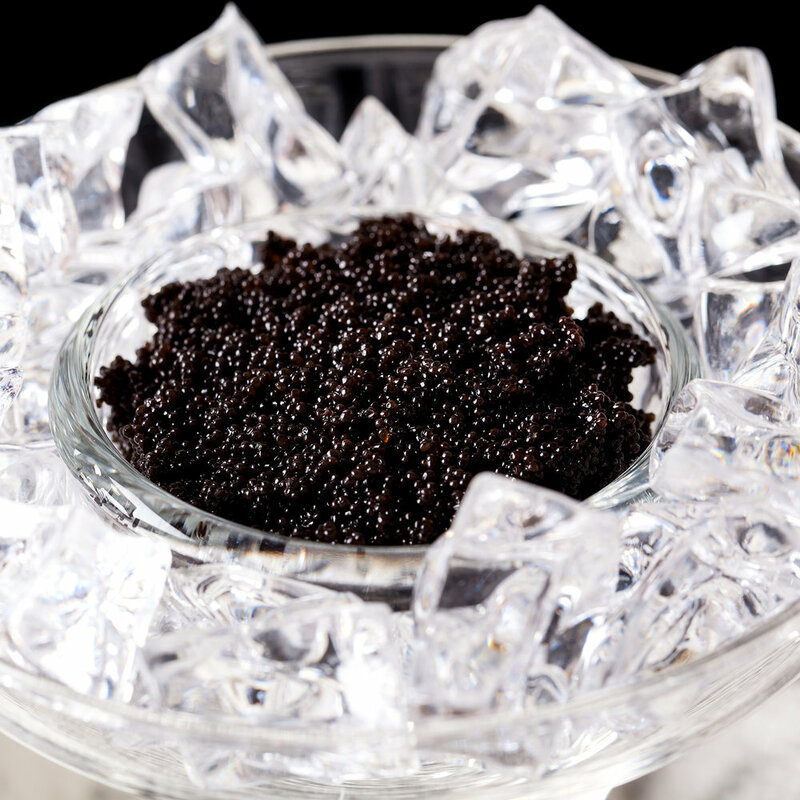 Quality caviar must have a bright glossy color, fresh smell, uniformly sized eggs, and lightly salty flavor, NOIR Caviar meets all of these criteria. 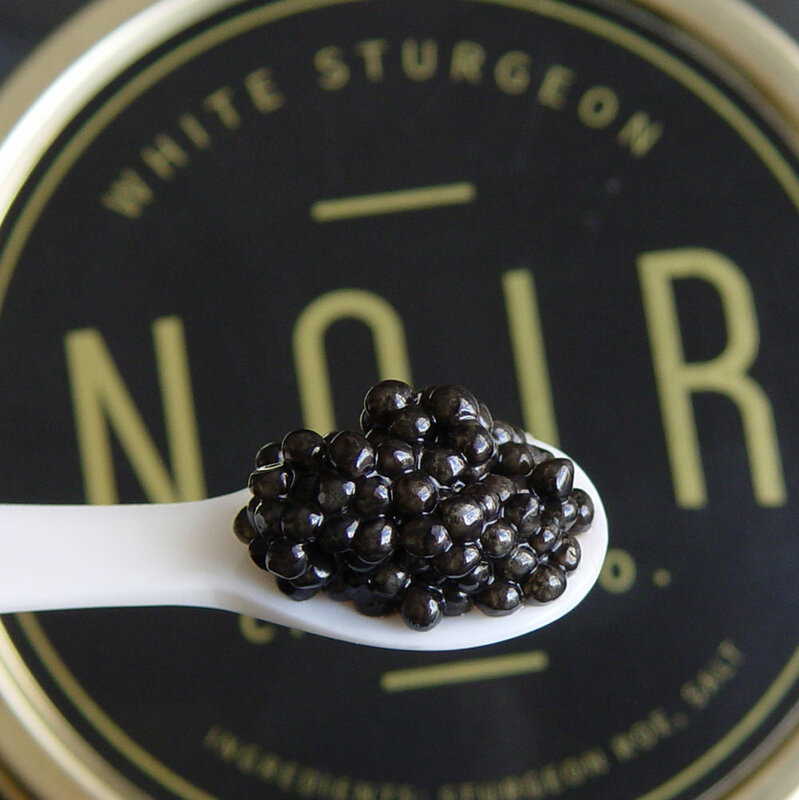 To ensure their goal, caviar is sourced from only the best sturgeon farms around the world and every shipment is graded as it arrives to ensure that only the best make its way into the NOIR Caviar line. 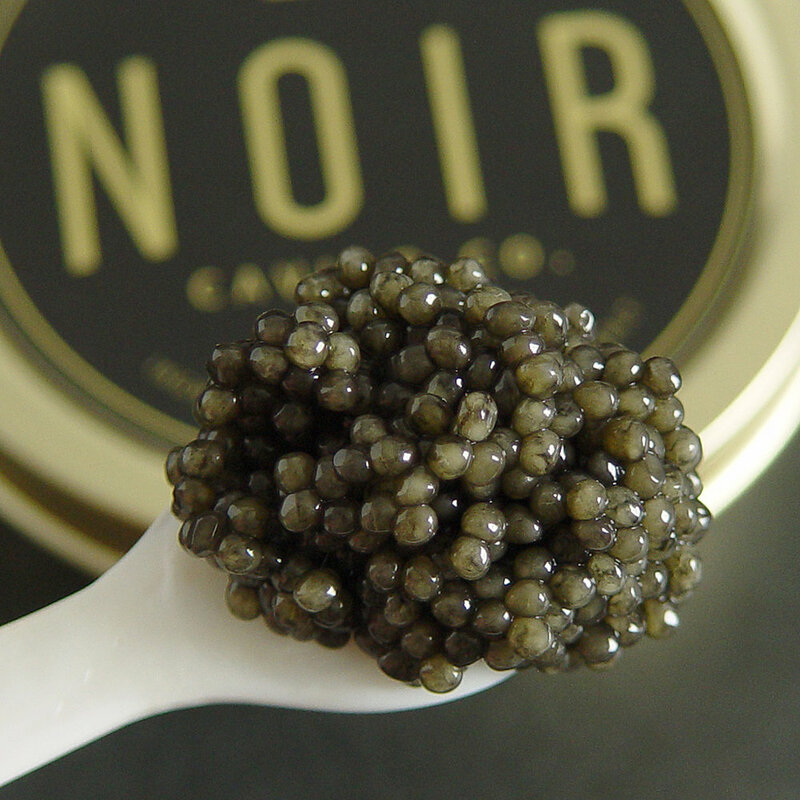 To appreciate these efforts one only needs to try NOIR Caviar, the result speaks for itself. For wholesale and restaurant orders please contact the smokehouse directly (845) 895-2296. Noir Caviar is available on our online store. Imperial Ossetra is our top-of-the-line Ossetra (Gueldenstaedtti) with a distinctive flavor, milder than Beluga with medium-sized, firm, and juicy beads, light brown color, and a bold, clean, nutty, buttery taste. Available in 30g, 50g, 125g, 250g, 1lb, and 1kilo tins. 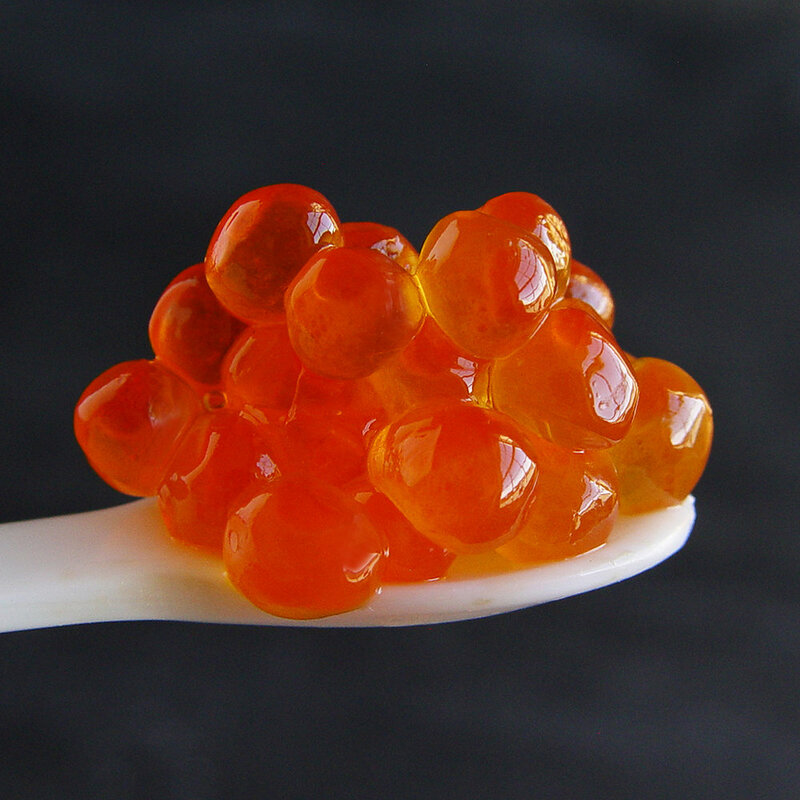 Probably the most well-known caviar, Ossetra (Gueldenstaedtti) is the last species originally from the Caspian Sea available in the US today. Medium-sized, firm, and juicy beads, toasty brown color to dark brown, and a bold, clean, nutty, buttery taste. Kaluga Hybrid (Huso & Acipenser Dauricus Schrenki) is indigenous to the Amur River and is therefore sometimes referred to as River Beluga Hybrid. Sustainably farmed in China, in the mountains southwest of Shanghai, in the Thousand Island Lake natural reserve. Large, light-brown to rich-brown beads, firm texture, and sweet notes of hazelnut. Unique clean, sweet, crisp flavors with an intense taste of the sea. The grain sizes range from small to medium, the color ranges from dark gray to black. White Sturgeon (Transmontanus), has a slightly firm but delicate texture with fine distinguishable roe. The flavor ranges from buttery to nutty with a touch of sweetness and can be compared to the taste of the Caspian sea wild Ossetra caviar. Tiny, jet-black to brown beads with a briny zest. Dry, strong flavor and firm beads. Harvested from wild sturgeon caught in Tennessee, Kentucky, and Illinois. Specifically for customers who request it and/or already use Paddlefish. Also known as Spoonbill Roe, ranges in color from pale, silvery to dark, steely gray. Smooth and silky with a rich, earthy flavor—strong in taste, yet very smooth. Farmed from Rainbow Trout in Western France. Beautiful medium-sized grains in a deep orange color. Exudes a briny tang, a bit of smokiness, and a firm pop. Available in two sizes 100g jars and 500g jars. Harvested from wild salmon caught in Alaska and air-dried. 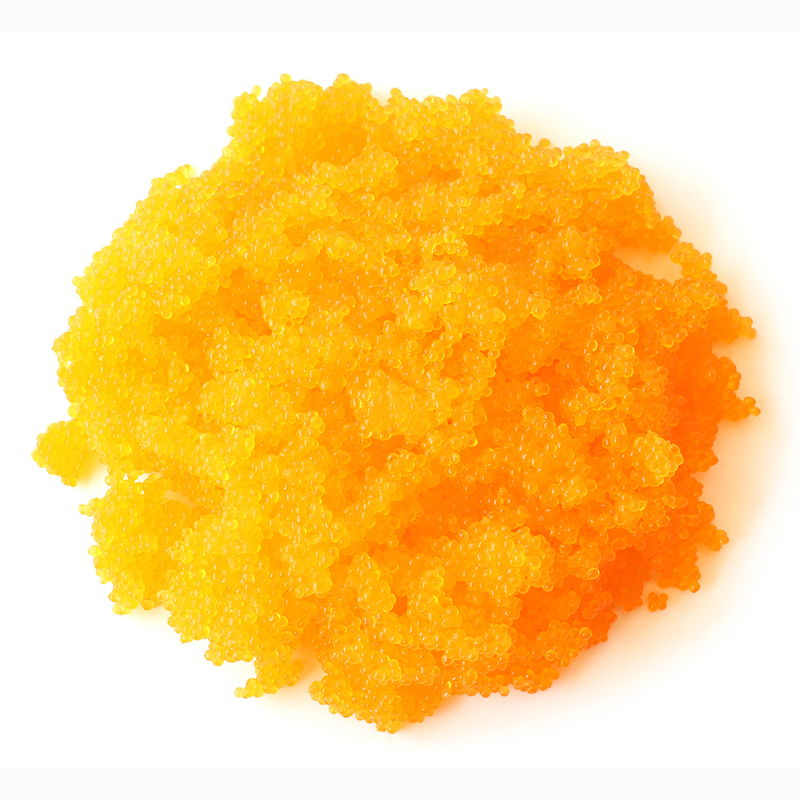 Large, sparkling red to orange beads, firm texture, and a clean burst of crisp salmon flavor. Bright golden color, crisp texture, clean, refreshing taste with medium salinity. Available in 8 oz and 1 lb tubs. Flying fish roe. Available in red, yellow, orange, and green. Call the smokehouse for pricing and availability (845) 895-2296. Caviar chillers, servers, and mother-of-pearl spoons.